There are 25 stamps matching your search. 5c Golden Tulip, 10c Little Knobby Scallop, 20c Globular Coral Shell, 25c Sundial, 40c King Helmet, 55c Channeled Turban, 70c True Tulip Shell, 90c Music Volute, $1 Flame Auger, $1.15 Rooster-tail Conch, $1.50 Queen Conch, $3 Teramachi�s Slit Shell, $5 Florida Crown Conch, $7.50 Beau�s Murex and $10 Triton�s Trumpet Sea Shells Overprinted Specimen. $7.50 Beau's Murex Sea Shells. 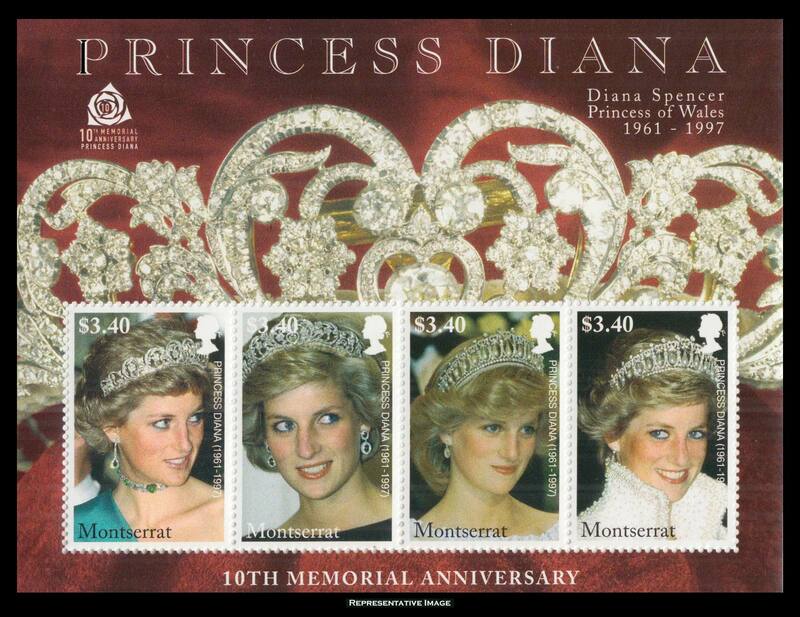 $3.40+$3.40+$3.40+$3.40 Princess Diana Memorial Various Portraits Souvenir Sheet. 1/2d KGV and Symbol of the Colony Overprinted War Stamp.